IN THE modern world everything is computer based and every technology is based upon computerized control. Pakistan is still a developing country but its talented students are playing their roll more efficiently than others. In the field of science and technology Pakistanis are making their name worldwide. Now let me inform you about a unique machine which is producing very high level accuracy products in huge quantity known as CNC. The CNC – Computer Numerical Control – is the one in which the functions and motions of a machine tool are controlled by means of a prepared programme containing coded alphanumeric data. CNC can control the motions of the work piece or tool, the input parameters such as feed, depth of cut, speed, and the functions such as turning spindle on/off, turning coolant on/off. Printed circuit boards are used in virtually every modern-day electronics application. 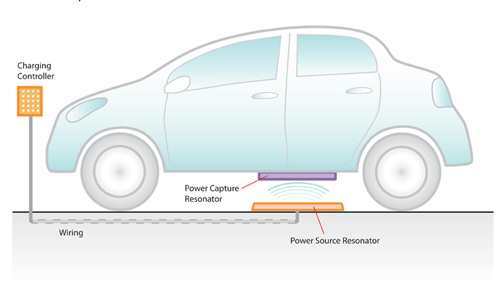 For production standard boards, all aspects of board construction are carried out by machine, based on a design created in a computer aided design package. In a prototype design, education and other small-scale electronics, all aspects of board construction are carried out by hand. In the production level process, using a drilling device known as a CNC machine, which drills holes based on the input from an NC (Numerical Control) drilling file created by the CAD application. Small-scale board construction could be simplified by using this NC file along with a portable drilling machine to automate the drilling process. It’s not the limit; it produces dies moulds, parts making. Its training is now providing by various institutes in Karachi and prototypes projects are also making by different private universities in Karachi. The applications of CNC include both for machine tool as well as non machine tool areas. In the machine tool category, CNC is widely used for lathe, drill press, milling machine, grinding unit, laser, sheet-metal press working machine, tube bending machine etc. Highly automated machine tools such as turning centre and machining centre which change the cutting tools automatically under CNC control have been developed. In the non-machine tool category, CNC applications include welding machines (arc and resistance), coordinate measuring machine, electronic assembly, tape laying and filament winding machines for composites, etc. 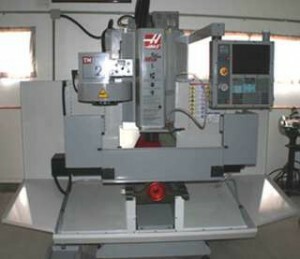 A CNC milling machine can vary in size, depending on the material that needs to be cut. The size of the motor dictates the speed at which material can be cut as well. Wood and plastic are the easiest to cut and steel is the most difficult to be cut. Rigidity also plays a role in a mill’s performance. The more rigid a mill is, the more accurately it cuts and drills. CNC mills, on average, have stronger engines and higher rigidity than their manual counterparts. The rigidity and speed of cut make a mill a better choice than any manual operation. Mills make parts faster and their increased rigidity results in less waste and fewer rejected parts. Speed and rigidity play a major part in a mill’s superiority, but the accuracy that you have with a computer numerically controlled machine is far superior to that of a manual machine. If used in production, all the parts will be made exactly the same. Development of Computer Numerically Controoled Machines is an outstanding contribution to the manufacturing industries. It has made possible the automation of the machining process with flexibilty to handle small to medium batch quantities in part production. At present our industires need CNC machines, which are facing a competition in the global market, due to day by day uncertainties in customer demand requirements in terms of huge varaiety of products with better quality and at lesser time. CNC machines are best suitable for better accuracy and less man power.